I bought a couple of Christmas presents this week, that I needed wrapping paper for, so it was craft time to the rescue. I moved the table, and chairs out of the kitchen, so I could roll out a long piece of butcher paper (the white paper, that's kind of waxy on the back). The younger girls covered it with red streamer stripes, for me. My intention was to have them paint the streamers with water soaked paint brushes, to transfer the color to the paper (per instruction from Frugal Family Fun Blog). But, I realized we were actually very near to nap time, so I decided to speed things up, and gave them a water filled spray bottle, to wet down the entire paper, streamers and all. That was a lot faster. The wet paper held the streamers in place nicely, until they dried (or mostly dried, I wasn't patient enough to let them dry completely). After nap, when we removed the streamers, we found the colored stripes, left behind, underneath. We did find that darker colored streamers worked better (kind of a "duh", I know), so you might want to test your streamers on a small piece, before you commit to a long roll, if you decide to try this. Like Christy, at Superheros and Princesses, who posted some very pretty, candy cane sun catchers, today, that her children made, we are still waiting for our candy cane themed books to arrive in at the library. We did listen to a short explanation of a couple of legends behind the candy, here, then watched a FoodNetwork, field trip to see how candy canes are made, and enjoyed the Noggin, Moose A. Moose, Candy Cane song, just to round out our day. We just picked up our books! We are going to watch that clip about how they are made today too. I love Moose A. Moose! Great idea to spray the streamers. We will have to try that. Oh, that sounds like a whole day of candy cane fun! Love it! 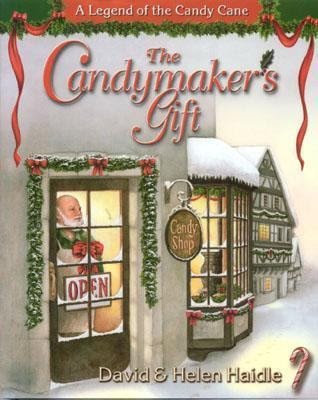 You also reminded me of another Christmas book that is still in storage somewhere. 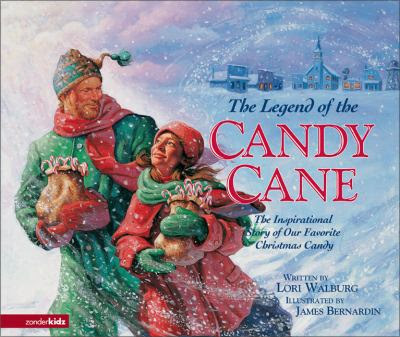 Loved Legend of the Candy Cane. Hi there, love your blog! Just started blogging too & it's so much fun. Drop by homeschoolingtnt.blogspot.com any time. I like how you cleared out the table to accomodate the children and paper....good momma!